Baltimore, MD – Alex. 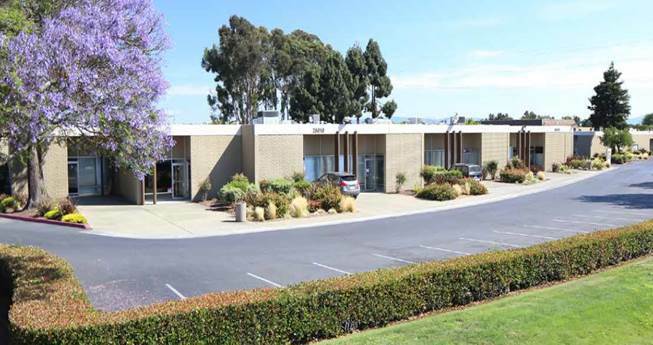 Brown Realty, Inc. (ABR) and CIP Real Estate (CIP) have acquired the Eden Landing Business Park—a 195,044 sf flex industrial asset in Hayward, California. ABR Chesapeake Fund V, a value-add real estate fund sponsored by ABR, invested $9.7 million in the joint venture. Financing was provided by Wells Fargo. Spread over an 11-acre site, Eden Landing includes 10 buildings with both industrial and office components ranging in suite size from 200 to 7,000 sf. At acquisition, the business park was 94% occupied by 105 tenants, representing a diverse range of industries. Eden Landing’s multiple buildings and suite sizes provide leasing flexibility, while also allowing tenants the ability to expand and grow within the portfolio. The joint venture will immediately begin value-add improvements to the property. “The business plan contemplates $2 million in capital improvements,” said Eric Smyth, principal and co-founder of CIP. “Once complete, Eden Landing will be positioned to better compete with its competitive set, or even outperform it,” added Smyth.